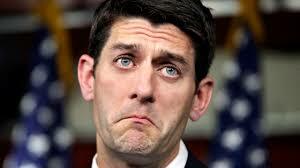 The collapse of Ryan Care was probably the first big failure of the young Trump administration (not counting the tweets-4D chess and all that). And to that, as on many things, I’m of two minds. For all of its flaws, being able to block grant Medicaid funds to the states and capping its growth would be a major victory; a major reform of a major entitlement program. Just that would have been a major administration accomplishment. On the other hand…the bill was seriously flawed in virtually every other way and didn’t meet the President’s goal of providing coverage for everyone. And even worse than the flaws of the bill, it revealed how amateurish the Republican House was. It was like they had not even considered the idea of writing a health care bill until a few weeks ago. And when they did, they repeated every bad Democratic mistake in doing it by keeping the bill writing secret to exclude… not Democrats but the real enemy; other Republicans. And in fact, it was Republicans that ultimately killed their own reform plan. Democrats just had to sit by and eat popcorn. So after thinking that the GOP had at least a draft of a consensus plan tucked away waiting for its own opportunity, it soon became obvious that there had probably been not a single meeting or discussion on it until recently. So after crafting a bill in secret with zero input from any effected groups, it turned out there was no constituency for the bill. Even the late lamented Options Act had buy in from several conservative think tanks, and Tea Party groups. No conservative groups even had a peek at it until it was unveiled. Sorry, but that’s not how you do things. But…none of that was the “one thing” that Ryan Care taught me. Have you ever noticed that you never hear the left clamoring for Medicaid for all? Since Medicaid has no premiums, co pays, or deductibles, it’s truly free healthcare (from the consumer point of view). Meanwhile regular Medicare has an 80/20 cost share. Medicaid has lower provider reimbursement rates than Medicare so in theory it should be cheaper. Why shouldn’t the left/liberals/Democrats like Medicaid as the basis of a national healthcare plan over Medicare? The other day I was on a forum discussing the late, unlamented Ryan plan, and how it weans off Medicaid funds to the states with a different formula over the years. Some left leaning poster complained that means the states would have to raise taxes to make up the difference! Well duh, but if you’re liberal, shouldn’t that be a feature rather than a bug? Don’t those guys love taxes, the higher the better? How could increasing taxes be a flaw in a health care reform plan if you’re liberal? Epiphany time. Unlike Medicare, which is fully federally funded, states have to pitch in for the cost (not counting the expanded Obamacare version) for Medicaid. Medicare, or any fully federal plan is paid for by deficit spending, so no one is really paying for it (yet) but the states have to tax real money to pay for things like expanding healthcare for people in their own state. That’s why even the bluest states don’t have their own universal healthcare plans. Vermont tried to do it and spent three years trying to make it work before abandoning it because of taxes. California is attempting to do it now, and the lessons of its attempt on this regard will be instructive. I’m not sure any state can afford both a 50 billion dollar bullet train to nowhere and single payer health insurance. So the lesson? That’s how you defang the left: Make them pay for it. A Balanced Budget Amendment would do more to rein in the Democratic Party than any comparative cluster of policy reforms that will be undone by the next Democratic administration. The basic tools in the Congress and in statehouses across the country are all there to make it happen. Democrats love the rhetoric of raising taxes on the rich but the reality is that the rich are much of their constituency, and it’s not clear how far that constituency is willing to go if every single thing the Democrats want they had to pay for up front. This entry was posted in Politica and tagged A Better Way, AHCA, American Health Care Act, Balanced Budget Amendment, Donald Trump, health care reform, Medicaid, Medicare for All, Obamacare, Paul Ryan, Politics, Ryan Care. Bookmark the permalink.